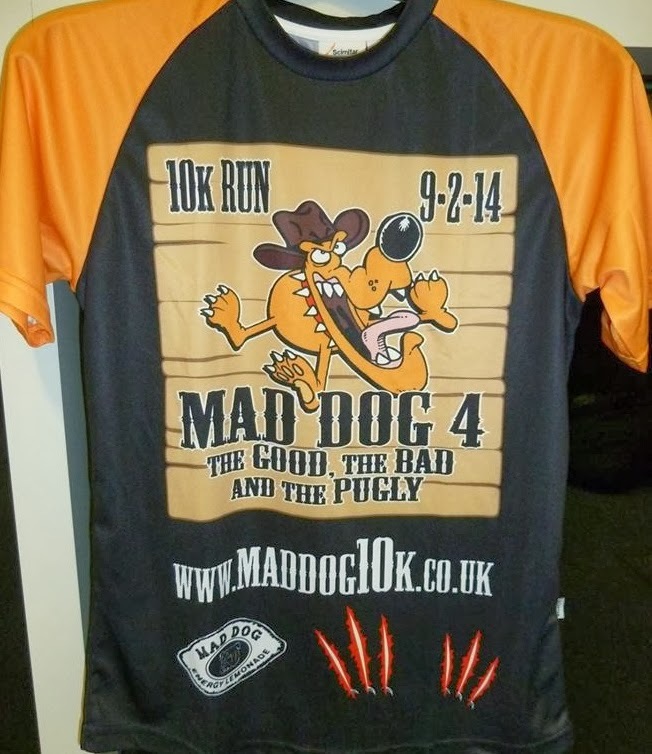 Today, Sunday 9th February 2014 I ran in the Mad Dog 4 10K road race in Southport. Since this was advertised as a "fast and flat" course I had high hopes of getting a PB. That was until I woke up mid-week full of cold and took 2 days off work to wallow in self-pity! 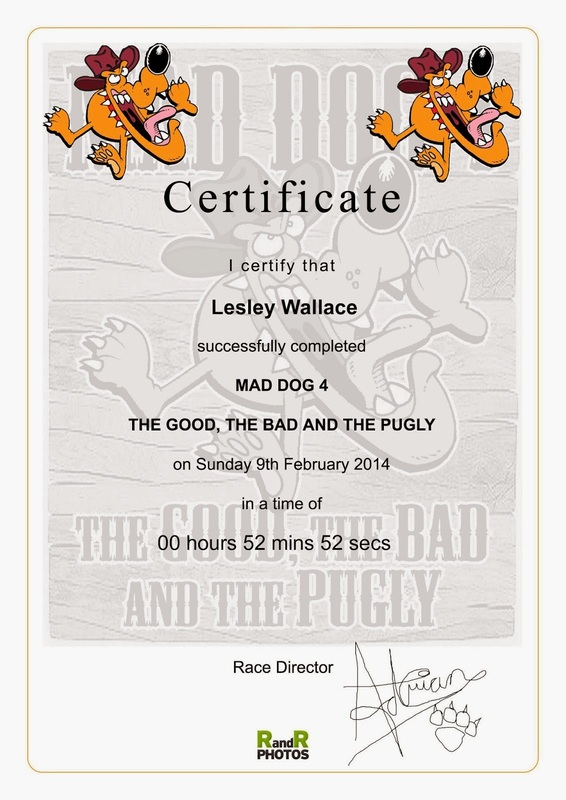 By race day I was feeling a lot better but was still very snotty! I wasn't going to be deterred! I had a race to run and I was going man-up and run it as best I could! The weather forecast was not good with rain and strong winds predicted! My husband and I left Kendal at around 8:15am for the 60 mile journey to Southport, picking up my friend Julia and her husband on the way! (The men weren't running they were just coming along as chauffeur and support team!). We programmed the postcode into our satnav which took us "round the houses" before we arrived at our destination at approximately 9:45am ready for the 10:40 start! At this point we got slightly confused. We thought when we had arrived at "our destination" that the destination was the car park for the "park and ride" put on by the event organisers. We had our parking permit at the ready (but no one asked for it) and we were waved into a parking space by a friendly looking Marshall. We got out the car and noticed a bus leaving, but it was empty! Then we noticed cars pulling up and runners being dropped off. Why would runners be dropped off at the park and ride and not the start? Eventually, after visiting the toilets and collecting our race T Shirt the penny dropped! We WERE at the start NOT the park and ride! We had inadvertently parked in the wrong place! But hey-ho it was a very convenient mistake! Everything was very well organised. There were plenty of Porto-loos (which were swaying nicely in the wind!) and thankfully there were also more stable indoor facilities in the sports hall! We managed to pay a visit with minimal queueing and collect our T shirt (in the size ordered which I think must be a first for me!) with no fuss at all. My only complaint would be the small was still fairly large! There were loads of burger and coffee vans etc too so plenty of opportunity for runners to refuel after the event and for the spectators! I must say I felt very tempted before the run but resisted ...! After doing a recce of the whereabouts of the start we went back to the car to take our many layers off before braving the Southport elements! Thankfully the heavy rain was just a spit in the wind ... but the wind was horrendous! 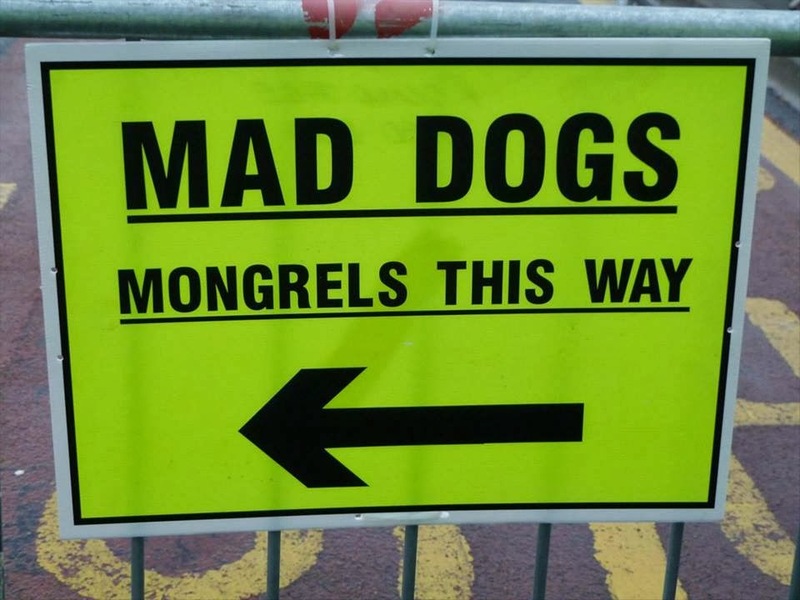 We walked up to the "Mongrels" starting point (I wonder how fast you have to run to be a Pedigree?!!) and arrived just after 10:30am. I had to do lots of jumping up and down and jogging on the spot to keep warm but before we knew it the race director was announcing the race was about to start! 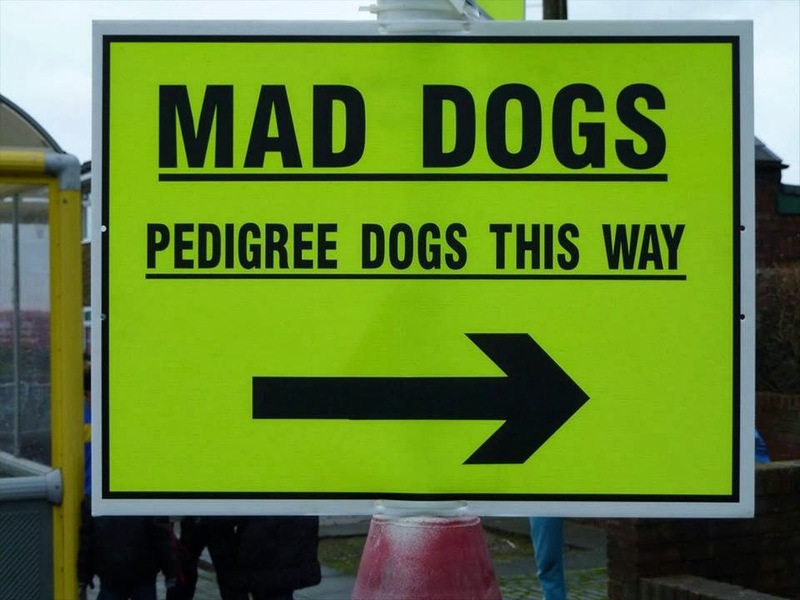 There was a fabulous atmosphere on the start line despite the wind and the cold and I was delighted to be set off by the song "Who let the dogs out?!" This really made me smile! Once we were on our way I realised just how strong the wind was - I felt like I was running to stand still. Everyone seemed to stay in a tight compact group, I think we were all huddling together like penguins to try and shelter! As I pushed on I could feel any hope of a PB slipping away. I felt like I was going so slowly that I didn't even check my Garmin for my pace as I thought "What's the point?!" There was the added extra of a free facial en-route in the form of a never ending exfoliating blast of sand! I also had the added problem of the wind wanting to blow my top up and I was very conscious of flashing a little too much to any event photographers lining the route! As well as these "unwanted" added extras there was the fabulous bands and singers who gave me added determination and motivation to keep going and put a smile on my face at the same time! A big thumbs up to these fabulous people for enduring the conditions to provide us with this entertainment! 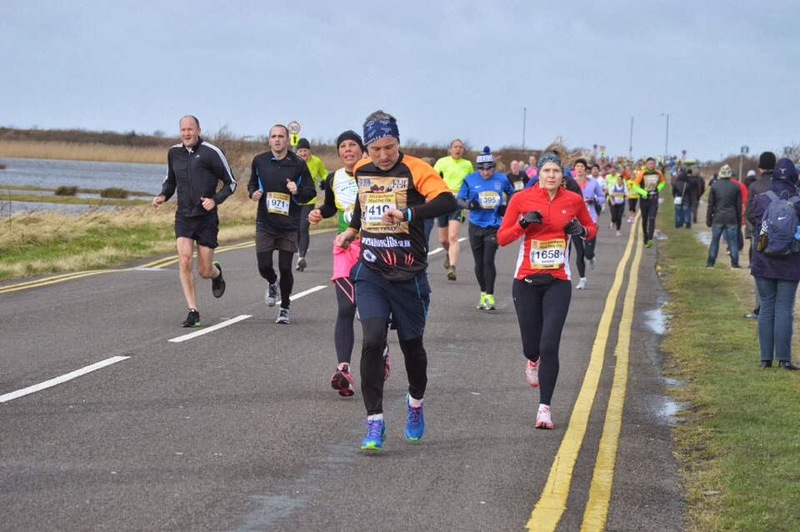 At around the 3.5 mile mark we left the sea front and we were finally running in fairly calm conditions. Around this point there was a water station with bottles of water AND amazingly they had a sports cap on! We were soon back on the sea front but this time the wind was coming at us from the side and behind, pushing us along nicely! Although with the sideways wind I found it difficult to run straight and I felt extra pressure on my right ankle! Before long I was running down the home straight cheered on by spectators but we were still in a fairly tight knit group. I caught a glimpse at the finishing clock in the distance and realised that if I really pushed it I might just get a PB. I tried a sprint finish but found dodging other runners difficult! Once over the line I stopped my Garmin at 52: 56 and was disappointed I was a second or 2 over of my PB! I collected a banana, goody bag and medal from the very friendly and smiley Marshall's before heading off to locate my support team (aka husband and friend). 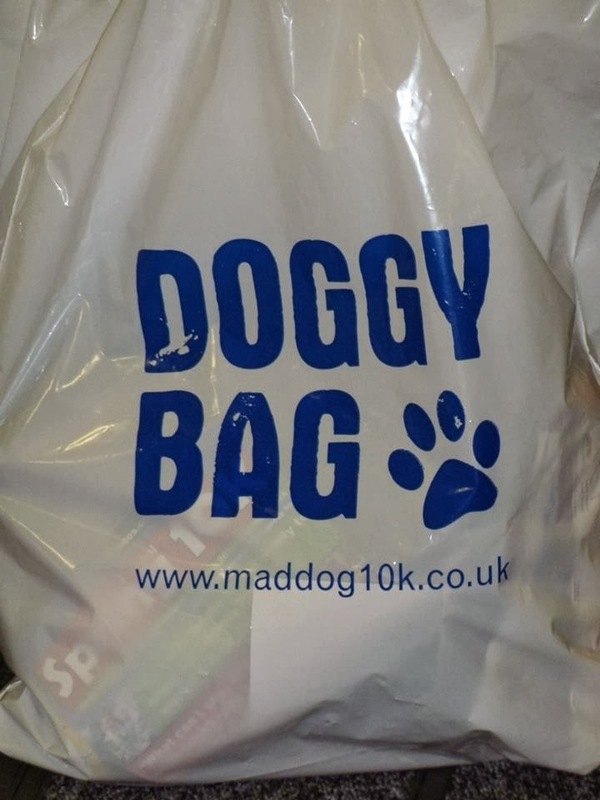 I can honestly say it was the best goody (doggy) bag I have had at any race and the medal and T shirt were pretty fantastic too! Shortly after finishing I got a text to confirm my time of 52:52 - I had done it! I had my PB and had managed to shave a huge 2 seconds off my time! A PB is a PB whatever! I am sure on a calmer day I would have got a more impressive one! I was delighted to see on the official results published that I was 623rd out of 1788 runners, 95th woman, and 20th in my category! I feel really chuffed with that achievement! You can see the official results here and my Garmin results here! 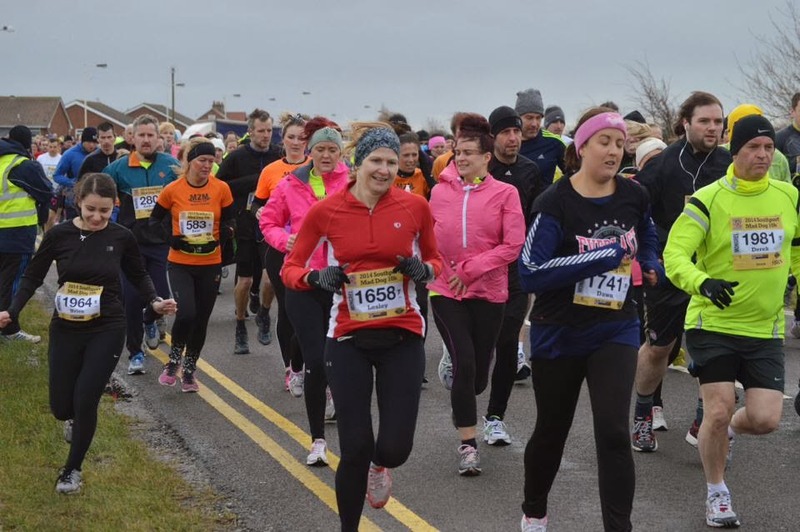 This is my 9th 10K race and I can honestly say it was the best organised, friendliest, had the best atmosphere, was the flattest and the windiest and above all else has the best bling and goody bag of them all! I would also like to thank Adrian and his team who work so hard to put on this event and execute it with such military precision! Also a huge Thank You for allowing me an extra medal for Haddie a little girl with cerebral palsy who I run for. As well as putting a smile on my face you have put one on hers too! A brilliant day and I will definitely be back next year!